Hamilton County Commissioners are ruling out the former hospital site in Mt. Airy. 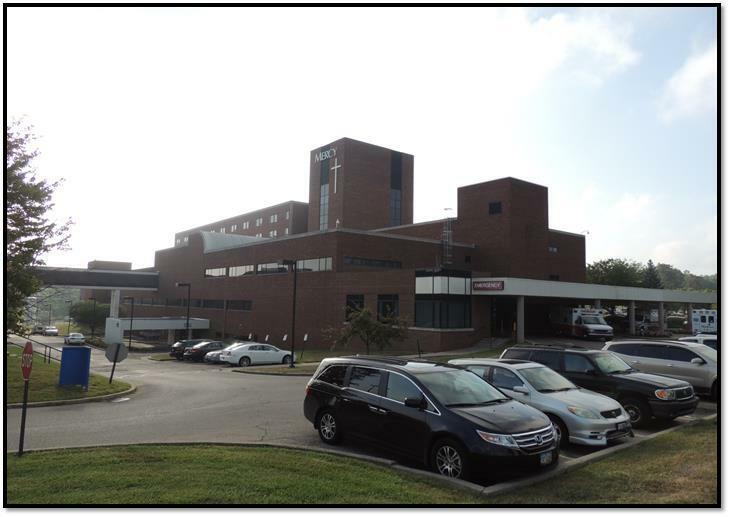 Hamilton County Commissioners are set to turn down an offer to take over the former Mercy Mt. Airy hospital. They'd been considering it to house a new crime lab and possibly other county offices. While the coroner's office has been in the news a lot lately for being cramped and outdated, it's not the only department with space needs. The county is reviewing its entire building stock. Even though the former Mercy Mt. Airy site would have been free, renovations would have cost $80 - $100 million. Hamilton County Commissioners say that's just too high. Board president Greg Hartmann is ready to look inward to find a solution. "We've got existing space," he says. "I think that we need to continue to look at how we can consolidate the existing space that we've got in the county." Hartmann wants county administrators to work with an architecture firm to propose alternatives. He's floating an idea that might solve two problems: move the public defender's office from a county building on East 9th Street and put a new crime lab in its place. Public Defender Ray Faller gives an office tour at 230 E. 9th St.
An attorney reviews case files at her desk in the public defender's office while another talks on the phone. They're both in the same room with just a small partition for separation. "As you can see, they're right adjacent to each other," he says. "There's no privacy." Privacy is important. What if an attorney is having a conversation about privileged information while another is meeting with a client in the next cubicle over and can hear everything? "It's one big open room with cubicles that are about five-and-a-half feet high with dividers," says Faller. Faller oversees nearly 80 attorneys. How many of them have offices? "It's easier to count those who don't." 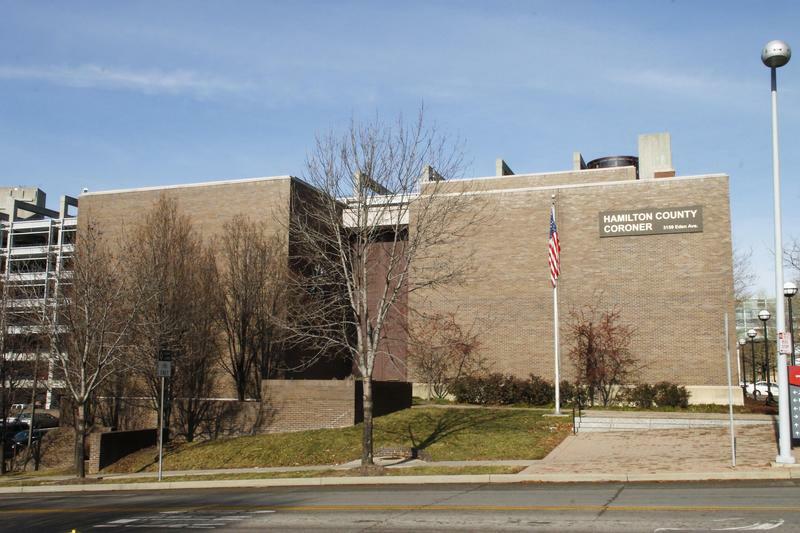 Several years ago, the state public defender threatened to sue Hamilton County for inadequate facilities. The sides signed a memorandum of understanding, with the county agreeing to bring the department up to the same standards as the county prosecutor's office. Faller says improvements have been made. The juvenile division now has real office space in a building down the street. A few blocks east, the Board of Elections leases several floors at a building on Broadway. Director Sherry Poland says the BOE is running out of space too. "In presidential elections, we have wait times of up to three hours," she says. "Our hands are tied. We just have no space to set up additional work stations." The BOE's lease is up soon and the county is reviewing whether it will renew or find the board of elections a new home. Assistant County Administrator Jeff Aluotto says the county is wrapping up a review of its building stock. While some departments, like the coroner's, are cramped, other county buildings are underused because of cutbacks over the last few years. So why not just move the cramped offices into the empty ones and sell off buildings that are no longer needed? "Moving folks around is actually a fairly costly operation and a costly endeavor," says Aluotto. "Would the sale of a given building help off-set that? Yes, absolutely. Would it pay for the entire thing? Not even close." Aluotto says the county administration will begin talks with architects this week, looking for lower cost alternatives using the county's existing buildings.